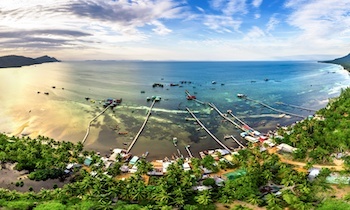 Phu Quoc is famous as a beautiful island with white sandy beaches and turquoise blue sea. 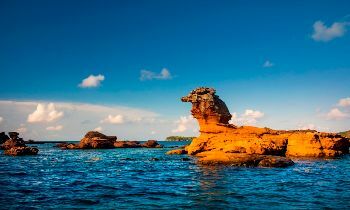 With Phu Quoc tours, visitors must wow because the natural and human scenery here harmonizes like a colorful picture. Not only that, beautiful Pearl island is also a paradise with super nice cafes. Please visit the following cafes to have relaxing moments in Phu Quoc. 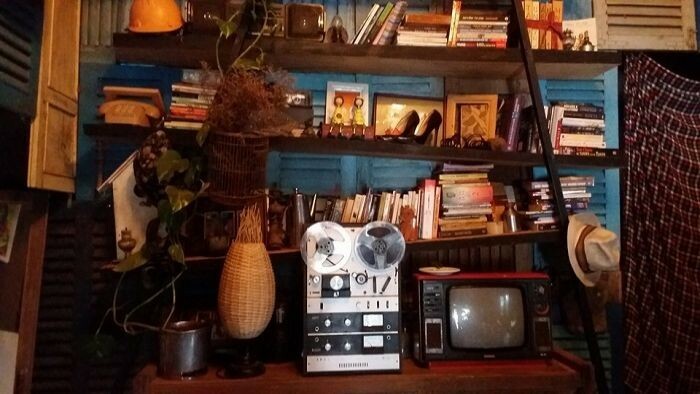 This is one of the most awesome cafe in Phu Quoc with the rustic decoration in the impressive classic style. The owner of the cafe is very meticulous when focusing on the smallest details from the cups, glasses, decorating books to old TV, bicycle, etc. 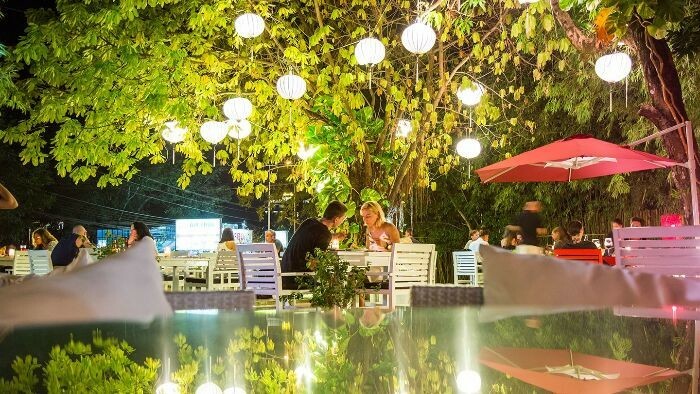 The Leaf cafe has a spacious outside for tourists to view the Dinh Cau night market. The menu of Leaf cafe is kind of diverse with kinds of beverage such as coffees, ice-cream, juices, beer, cocktail, etc. Whoever went to Pho Bien cafe agrees that this is the most beautiful cafe in Phu Quoc. 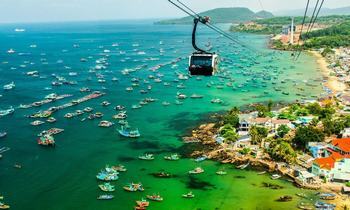 Pho Bien cafe is located in Phu Quoc Hydrometeorological Station which is designed in European-French architecture. The cafe serves a lot of drinks which cost 20,000 VND or more, sipping a cup of coffee floating your soul in the soft music is a great experience for tourists. Located close to Dinh Cau, overlooking the Gulf of Thailand, Pho Bien cafe is also a place to watch the sunset that tourists love. Itaca Resto - Lounge is a Spanish restaurant located on Phu Quoc island. With spacious and airy space and generous Spanish owners, the restaurant is a favorite destination in Phu Quoc because of its elegant decoration and style which create a comfortable feeling for tourists. There are 2 zones in Itaca Resto which are restaurant and lounge bar. Food at Itaca is mostly in Spanish style and taste, so it is not easy to enjoy for those who are unfamiliar with these. However, everyone who came to Itaca was satisfied with the enthusiastic and happy service style of the staff. Buddy is located on Bach Dang Street, opposite Ben Tau wharf where many foreign tourists are concentrated. Tourists often sit for breakfast and have coffee at Buddy while waiting for the boat to visit the islands and snorkel the coral. Buddy has beautifully delicate decoration in every small detail such as furniture, pictures, fresh flowers. Buddy is famous as the best ice cream store in Phu Quoc, the price of ice cream and drinks here is similar to the big ones in Hanoi and Ho Chi Minh City. In particular, the owner of Buddy and his wife are very thoughtful to make a table of information about tourism in Vietnam and Phu Quoc for visitors. You will receive free maps, travel guides when enjoying coffee at Buddy. Alanis Deli is the first fast coffee model in Phu Quoc. With the bright green color in design, Alanis gives diners a youthful, joyful and airy feeling. The menu at Alanis is plentiful from Italian-style coffee with Caramel, Bailey’s, Almond to 100% pure Vietnamese coffee. Besides, there are many fruit smoothies, cakes, ice cream, baked cakes made by the shop. 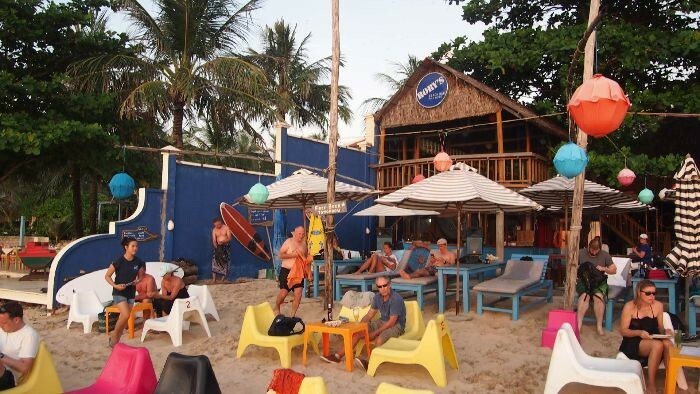 According to the traveling worms, Rory’s Beach Bar is the best bar that tourists should visit in Phu Quoc. The bar is located right at the beach near the resorts so it is very clean and secure. 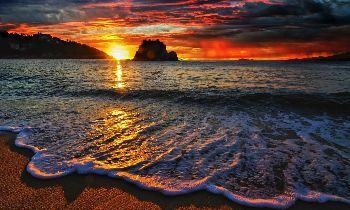 The menu has a lot of affordable dishes, you can come here to order a cup of beer or coffee and lie on the couch watching the sea all day and night without fear of being bothered. 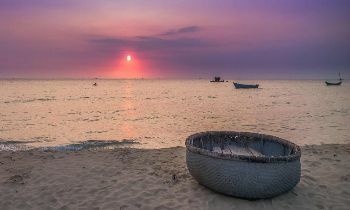 I love Phu Quoc is located at No. 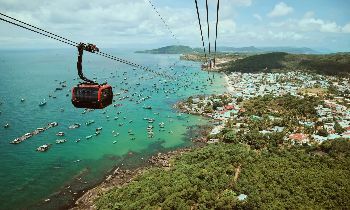 40 Tran Hung Dao about 200 meters from Dinh Cau night market, many people consider it as one of the most beautiful places in Phu Quoc. The restaurant has 2 spaces for you to choose. 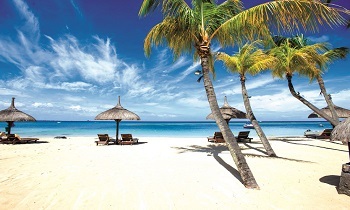 If you like to watch the beach on a peaceful quiet night, the space on the ground floor is the most ideal. 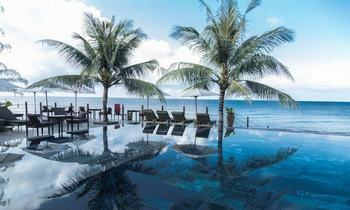 If you want to see the vast space of Phu Quoc beach, you should choose a spacious second floor. The restaurant serves both food and drink. If you want a spacious, quiet and airy space, Lantern Cafe will be a perfect choice for you in these days in Phu Quoc. Located on Nguyen Trung Truc Street, the cafe is designed in the style of ancient wooden roof-tile houses of Vietnamese countryside. The cafe is decorated with colorful lanterns. When night falls, it is also the most beautiful time because lanterns are lit to create a sparkling and fanciful space. 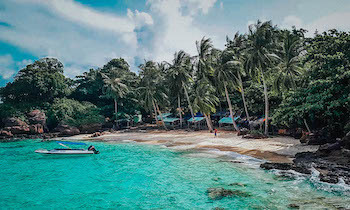 Coming to Phu Quoc, visitors not only mingle with white sand and blue sea but also visit the places for you to hide from the busy city life. Cafes in Phu Quoc are not as diverse as in cities, but it always carries a simple, gentle breath that you can feel very clearly. If you have any question about cafes in Phu Quoc, feel free to contact us!